Budapest was once an important part of the Austo-Hungarian Empire. Its location along the Danube River has also made it a major player throughout history. At one time it was actually two separate cities, Buda and Pest, and even today this makes for an interesting rivalry between the two sides. Rich culture and history, tasty food, and gorgeous architecture are just a few reasons why you should take a Budapest city break. 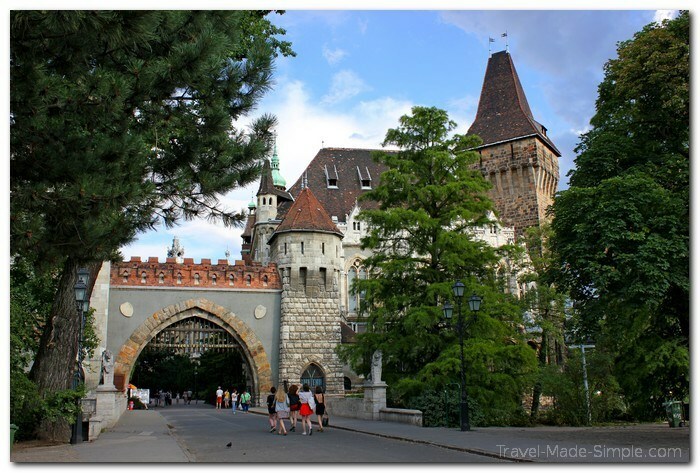 Budapest has two castles, one on the Buda side of the river and one on the Pest side. Castle Hill is on the Buda side, which is where you’ll find Buda castle (the Royal Palace) along with some museums and a variety of gardens and fountains. A little farther away is Mattias Church, Fisherman’s Bastion, and the Citadel. Due to the location on the hill, you’ll also get some fantastic views of the city and the river. The second castle is called Vajdahunyad Castle. It was built in the late 1800s, but in many different styles, giving it the appearance of being much older. It’s in a quiet park next to a recreation lake, so it makes for a nice stroll to escape the bustle of the city. Budapest is well-known for its thermal baths. There are several to choose from throughout the city, both indoors and outdoors, big and small. Leave yourself plenty of time to relax in the water so you don’t feel rushed. Check here for a list of bath and spa options. The Danube River is one of the most famous in Europe, and it runs right through the middle of Budapest. River cruises stop here quite often, but if you’re spending your vacation in Budapest, consider taking a boat tour. It’s a nice way to hear about the city’s history, see some of the sights, and enjoy what the city has to offer. Aside from the great views you’ll get from a boat tour, seeing Budapest from above offers another wonderful perspective. 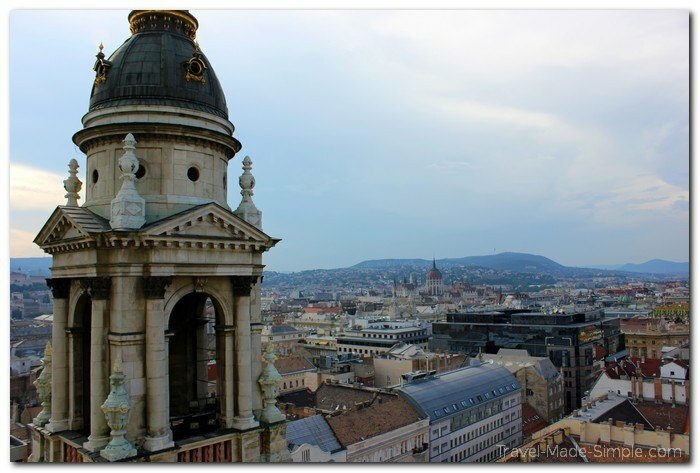 St. Stephen’s Basilica is tied for the tallest building in the city, and for a small fee you can go to the top of the copula for a 360 degree view. Budapest’s Parliament building was modeled after the Parliament building in London, and it’s quite spectacular. 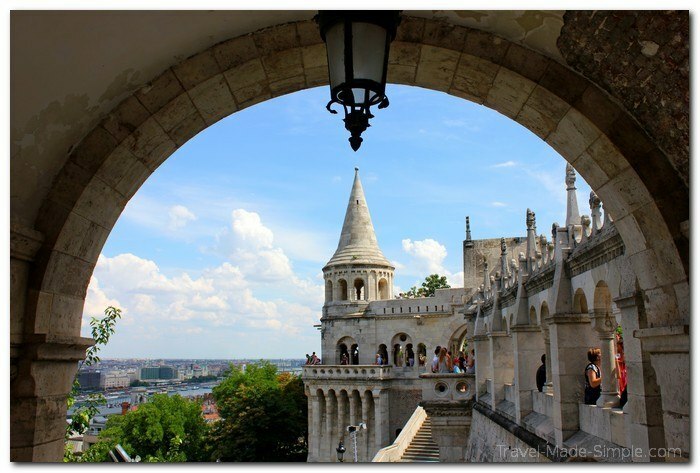 For the best view, go to Batthyany Ter on the Buda side and walk along the road above the river. You’ll see the Parliament building across the river on the Pest side. 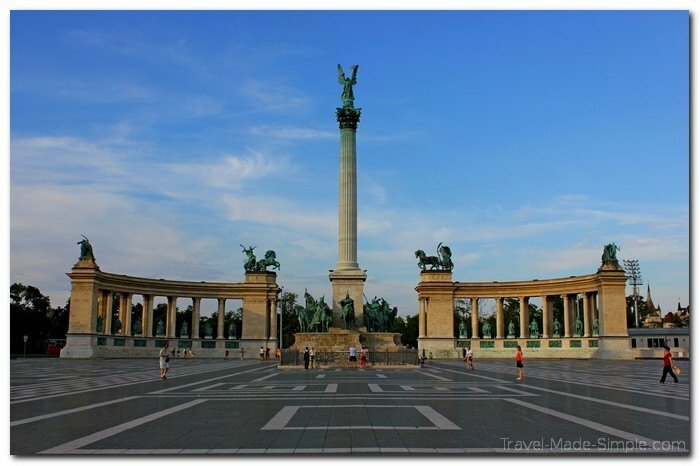 Another famous sight in Budapest is Heroes’ Square, which features grand pillars, statues of historical figures, and the tomb of the unknown soldier. Budapest is a big city, but very walkable. It’s well worth spending some time just wandering through Budapest’s different neighborhoods and getting a feel for the city. Relax in a square, enjoy a meal at an outdoor cafe, and soak up the vibe. Each side of the city has a different feel to it, though most people choose to stay on the Pest side because there are more restaurants, bars, and it’s easier to get around. 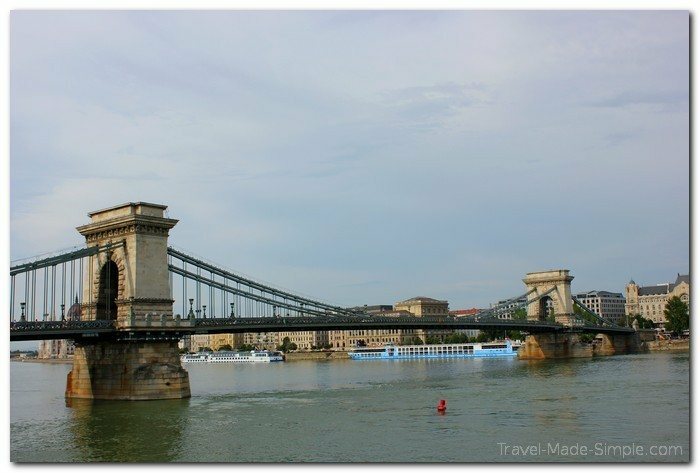 >>Find and book a Budapest tour here! Try lots of Hungarian food. The paprika is probably the most famous food of Hungary, and it’s used in so many dishes. Taste different meats, try Hungarian goulash, enjoy a traditional langos, sample Hungarian wine and liquors. 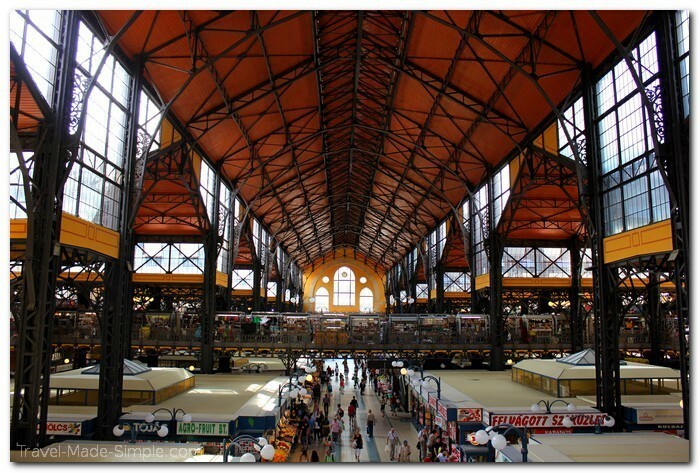 Check out the giant Central Market Hall where you can find all different types of local food in a lively market atmosphere. Consider taking a food tour in Budapest to really learn about the food culture of the country. When you spend more time in one city, you can really slow down and get a feel for the place. It makes for a more relaxed vacation, and gives you better insight into the city you’re visiting. 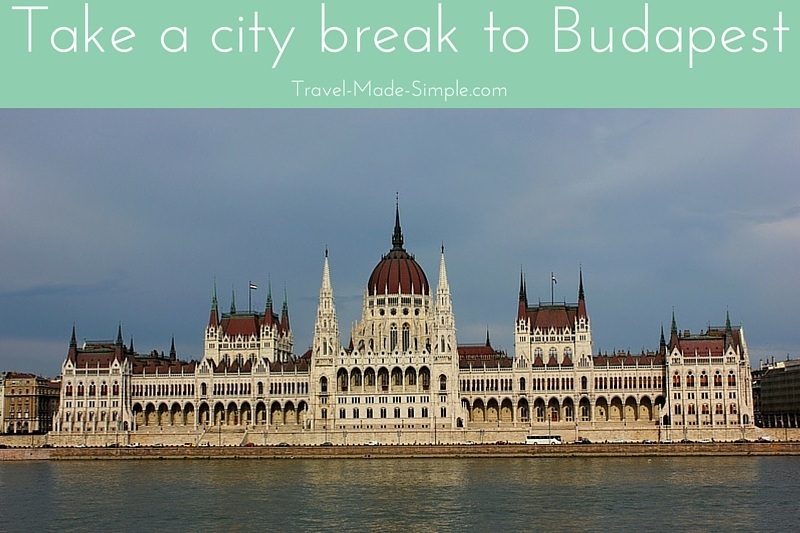 Instead of rushing through in a couple of days, why not spend a full week on a Budapest city break and really get to know the city?